Tanzania Football Federation has named a 20-man squad that will face the Super Eagles of Nigeria in the dead rubber 2017 Africa Cup of Nations qualifier in Uyo on September 3. With only one foreign and 19 locally based players listed in coach Charles Mkwasa, the team are set to begin camping this weekend, in a bid to perfect their strategies. 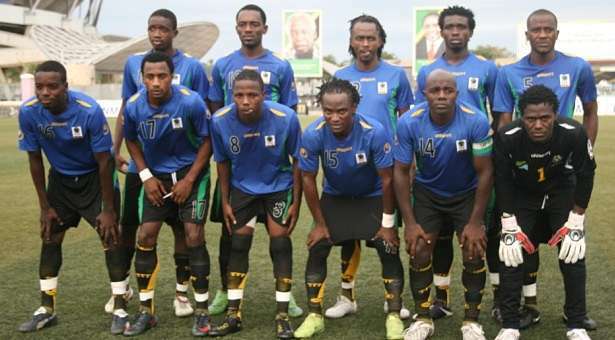 The last time Nigeria and Tanzania, the game ended 0-0 draw in Dar es Salaam. Notable on the list are Mbwana Samatta (KRC Genk), Farid Mussa (Azam FC), Ibrahim Ajib (Simba), Juma Mahadhi (Yanga), Jamal Mnyate (Simba) Mzamiru Yassin (Simba) and a few to mention. MIDFIELDERS : Himid Mao (Azam FC), Juma Mahadhi (Yanga), Jamal Mnyate (Simba) Mzamiru Yassin (Simba), Jonas Mkude (Simba).